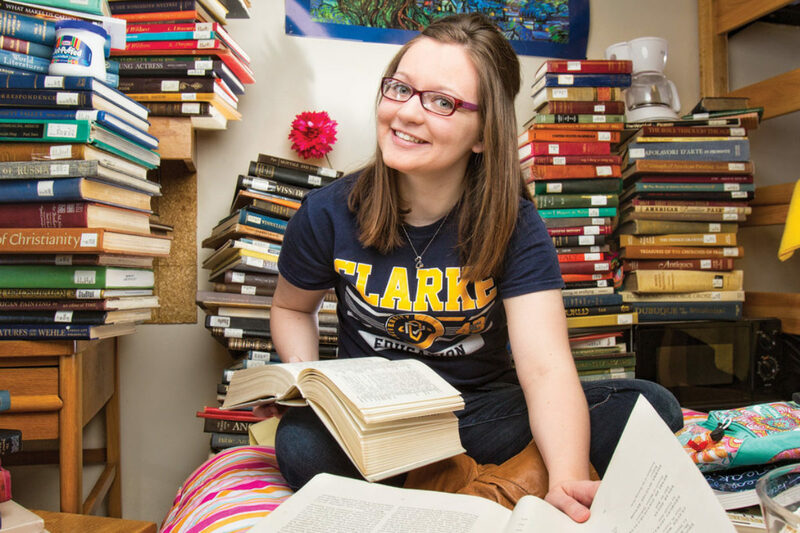 Use the Transfer Evaluation System to see how your classes will transfer to Clarke University. Information provided on the Transfer Evaluation System is a work in progress. College and university courses will be added on a continuing basis. Equivalencies may also be revised. The final, official determination of credit acceptance is made by the Assistant Registrar, Registrar, General Education Director, and Department Chairpersons. Students wishing to transfer to Clarke, receive an official credit evaluation upon acceptance to the university. Abby Funke transferred from a local community college. My transfer experience was the best. All of my prior credits transferred even some I took while in high school. The admissions staff explained everything really well, and the students at Clarke are so welcoming. Check out important and upcoming dates. Find detailed descriptions of your courses. We have 31 awesome majors to choose from! Create your custom course schedule today!